If you’ve been diagnosed with Hereditary Breast and Ovarian Cancer syndrome, there are steps that you can take to reduce your risk of cancer or to detect cancer at an early stage. Because Hereditary Breast and Ovarian Cancer syndrome is associated is an increased risk of cancer, it’s important to learn about options for prevention and screening. To learn more about mammography and breast MRI please listen to Kintalk's "Ask the Expert" Podcast titled, Comparing Mammography versus MRI for Individuals with a BRCA1 or BRCA2 gene mutation. Kintalk Podcast: Comparing Mammography versus MRI for Individuals with a BRCA1 or BRCA2 gene mutation. Ovarian Cancer: Because ovarian cancers begin deep in the pelvis, they often do not cause any symptoms until they are at an advanced stage. Ovarian cancer is difficult to detect through screening tests. In the general population, screening for ovarian cancer has not been shown to reduce the risk of death. However, because women with Hereditary Breast and Ovarian Cancer syndrome have an increased risk of developing ovarian cancer, some clinicians believe that screening is warranted in this population. CA-125: CA-125 is a protein produced by more than 90 percent of advanced epithelial ovarian cancer, which is the most common form of the disease. The serum CA-125 test is a blood test that looks for high levels of CA-125, considered a biomarker of ovarian cancer. The test is imperfect and is not considered a reliable method for detecting ovarian cancer. For women who have not undergone preventive removal of the ovaries (discussed in the section on Preventive Surgery), these two screening tests may be used together, every six months, starting at age 30 or at an individualized age based on your family history. 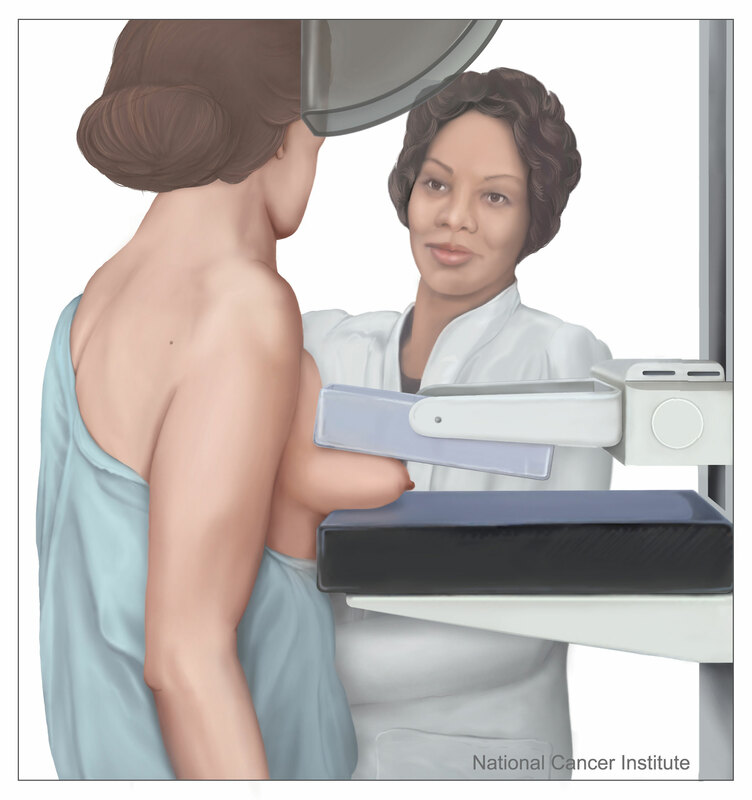 Bilateral Mastectomy: Prophylactic surgical removal of both breasts reduces the risk of breast cancer by at least 90%. 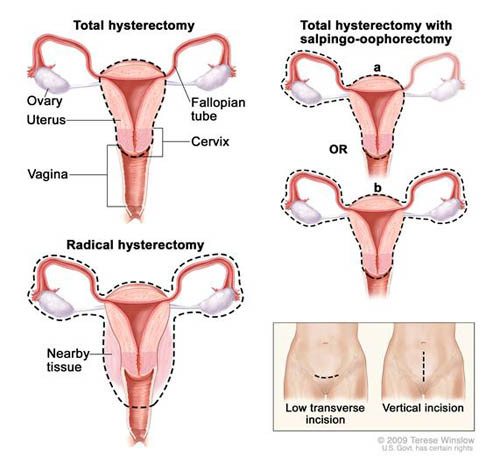 Salpingo-Oophorectomy: An salpingo-oophorectomy is a surgical procedure to remove the ovaries and the fallopian tubes. When this procedure is performed before menopause, it reduces the risk of both ovarian cancer and breast cancer. Women may wish to consider this procedure between the ages of 35 and 40, or after childbearing has been completed. Preventive Medications: Drugs known as selective estrogen receptor modulators (SERMS) may be used to reduce the risk of breast cancer in women at high risk of the disease. These drugs include tamoxifen and raloxifene. Evidence regarding the effectiveness of these drugs in women with a BRCA1 or BRCA2 mutation is still somewhat limited. Oral contraceptives (birth control pills) reduce the risk of ovarian cancer, but studies have produced conflicting results about their effect on breast cancer risk. For BRCA2 carriers, risk of a rare (recessive) Fanconi anemia/brain tumor phenotype in offspring should be discussed if both partners carry a BRCA2 mutation including pre-implantation genetic diagnosis mutations.